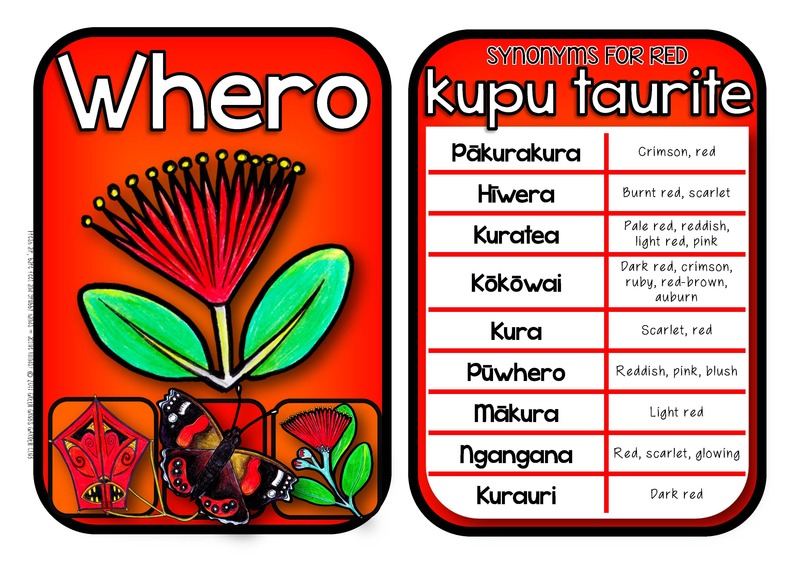 Mā is white, whero is red, kākāriki green! 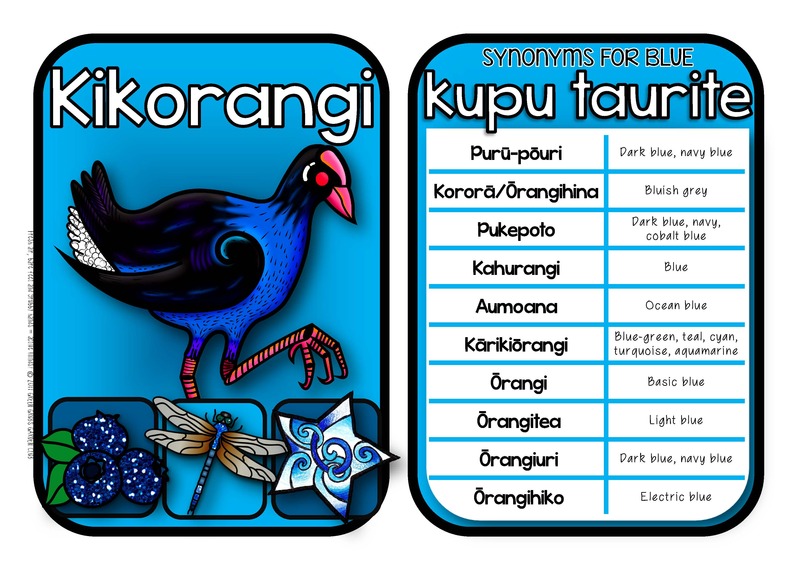 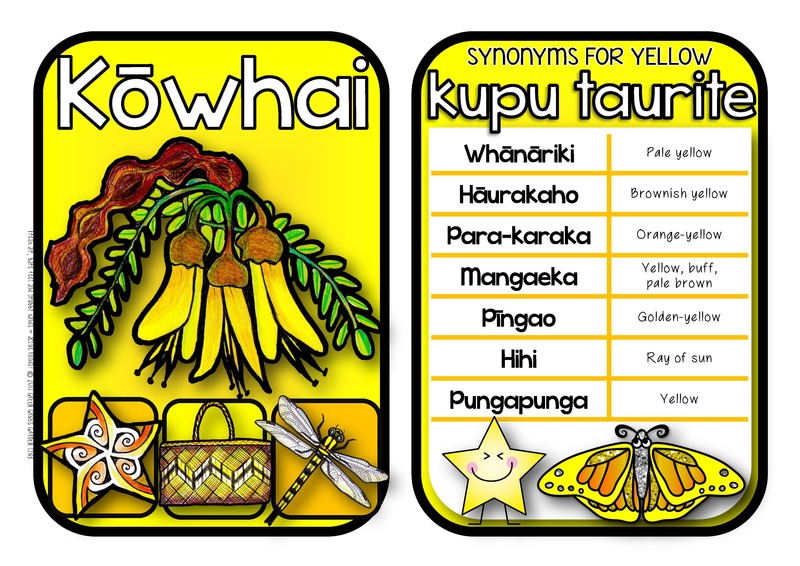 If your class have mastered the basic colours in Māori, they’ll love building on their learning with the synonym cards included in this pack…. how about using ‘pākurakura’ (crimson, red), ‘hīwera’ (burnt red, scarlet), or ‘kuratea’ (pale/light red) instead of whero? 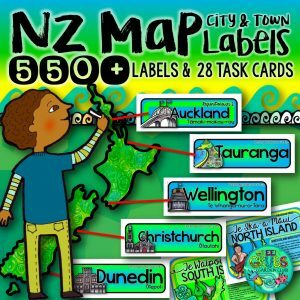 Add a splash of colour to your classroom with the colourful kiwiana themed mini posters included – simply cut out and laminate before displaying around your room. 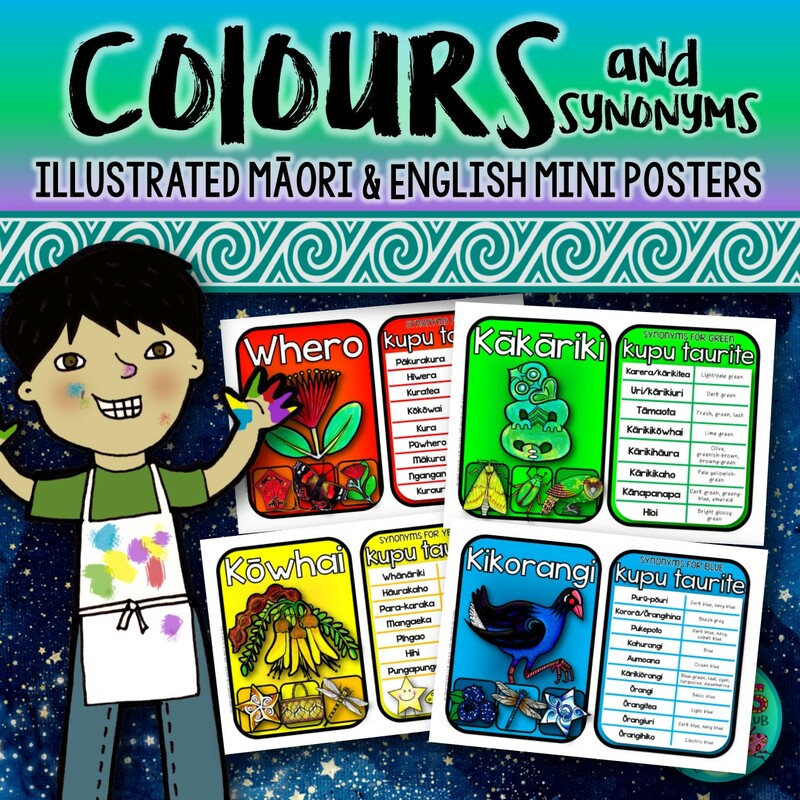 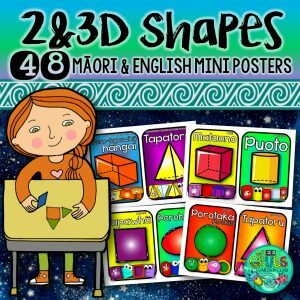 • An A5 mini poster for each colour featuring the word in Māori plus bright visuals. 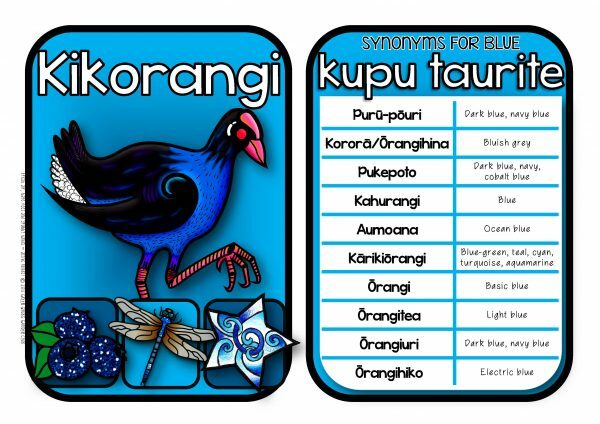 • The posters have a kiwiana theme: red = pohutukawa; orange = monarch butterfly; yellow = kowhai; green = tiki; blue = pukeko; purple = kina; pink = puriri blossoms; white = pavlova; grey = eel; black = gumboots; brown = native skink; multi-coloured = kereru. 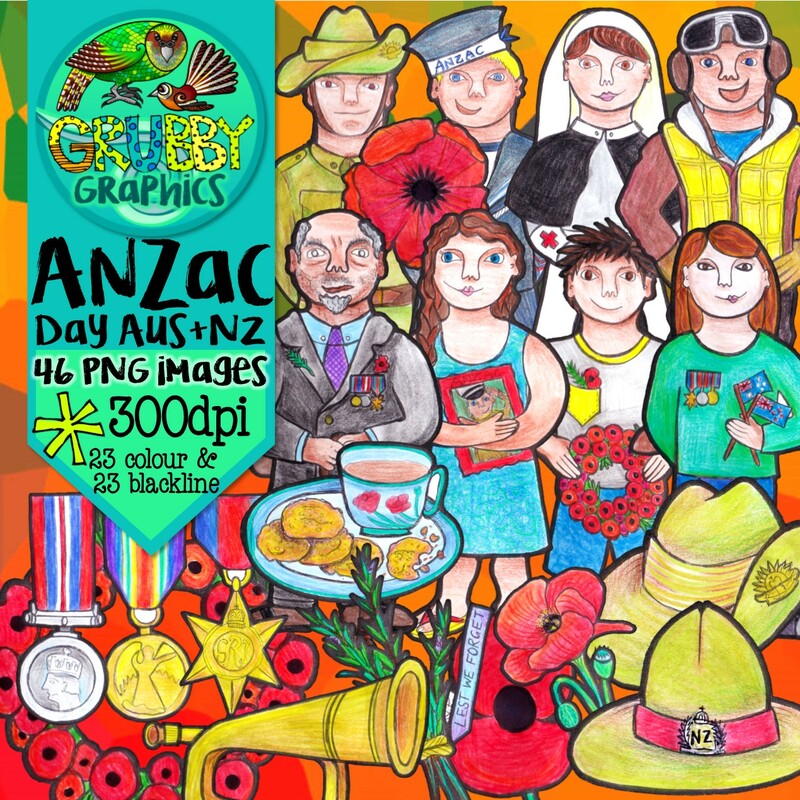 *Also included in this set are gold, silver & bronze.